Start the year on a high note and toss up some fun with a colourful session of lo hei. Representing prosperity and longevity, the yusheng lo hei or raw fish salad, is traditionally served on the seventh day of the Chinese New Year. But it has since become a popular dish throughout the festive period. 1. 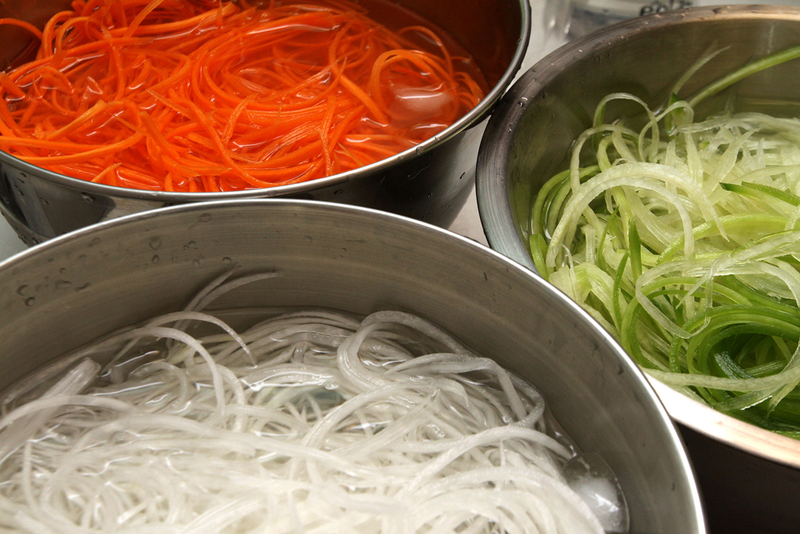 In separate bowls of ice water, soak the carrot, white radish and green radish for 15 minutes. 2. Drain the water and place the vegetables in the fridge for them to dry. 3. 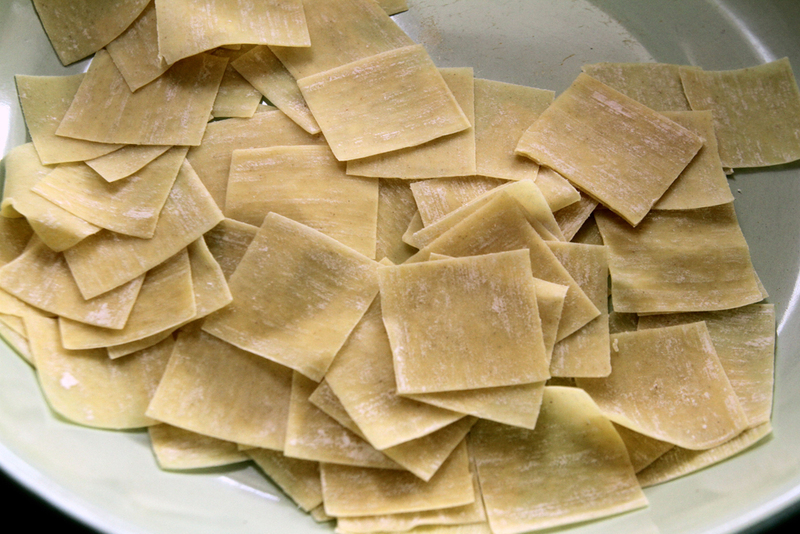 Cut each wanton skin into nine smaller squares, about 2cm in width. 4. Fill a wok with Knife Rice Bran Oil to about 6cm-deep. Heat the oil until it begins to simmer. 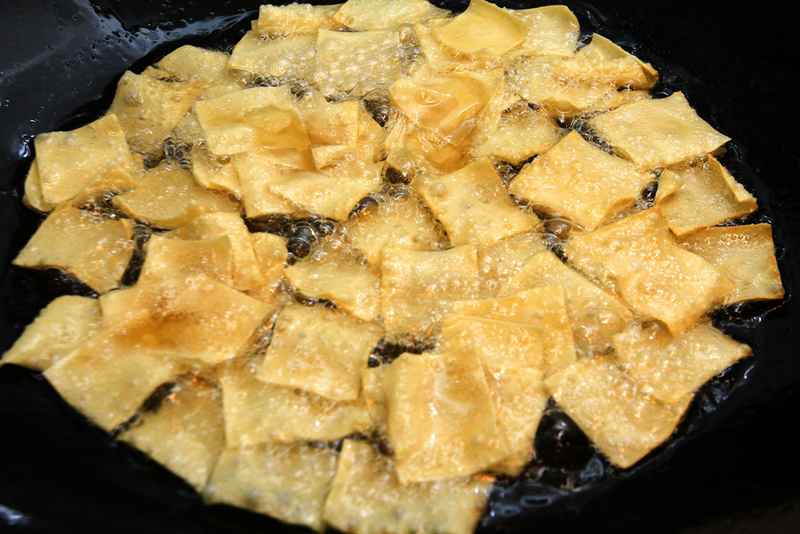 Turn off the heat and immediately place half of the wanton skins into the hot oil, ensuring that they are evenly distributed. Use the frying slice to turn them over. Switch the heat to low if you see that the wanton skins are not browning quickly enough. 5. 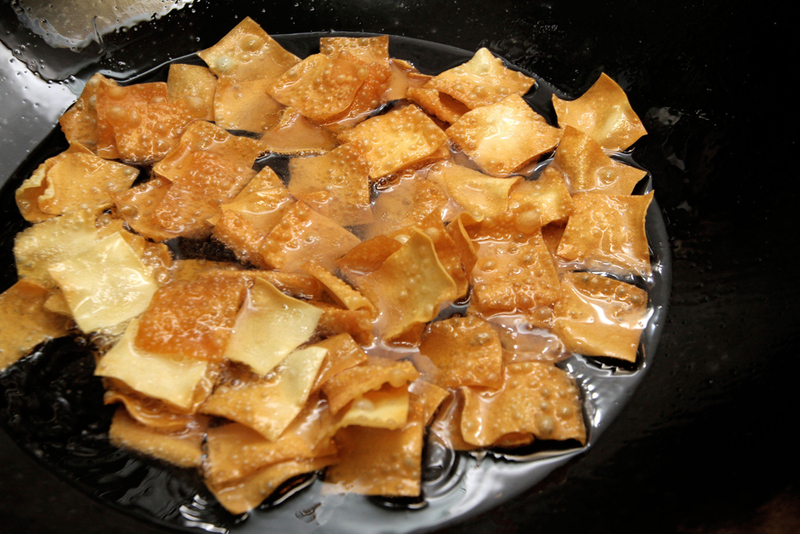 Remove the fried wanton skins from the oil and drain excess oil on kitchen paper. Set aside to use as a garnish for the yusheng. 6. Arrange the ingredients according to your preference. Place the raw salmon on the yusheng plate only when you are ready to serve. 7. Add the dressing just before the tossing begins.